Being a mom, wife, daughter, and being able to work eight hours (or more!) a day, maintain a household and still find time to do something you are passionate about is not easy. As a first time mom, I am still adjusting to my new role. Juggling it with all my other roles require discipline, commitment and A LOT of love! The key, according to Stephen Covey, is not to prioritize what's on your schedule, but to schedule your priorities. 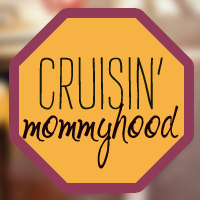 Super Mom is a Cruisin' Mommyhood's blog feature where I interview moms who can give inspiration and empowerment to working moms like me. Julia's ninong gave Julia a cloth diaper for Christmas last year. I read about cloth diapering but did not really consider using it for Julia because buying a set was quite expensive (I realized later that it is actually cheaper in the long run and there are more affordable, yet still effective, cloth diaper brands available). Then I read Jenny Ong's post about cloth diapering last April 2012. She shared the Cloth Diapering 101 presentation made by Jen of Next9 and Clarice and Abie of Ticked Moms. The presentation really made me interested to try it on Julia (well that and the anticipated decrease in monthly grocery expense. Haha!). Since, last July 2012, Julia wears Next9 cloth diapers at home. Just recently, I started following Jen Tan on Twitter and Facebook. As you may already know, she is the mompreneur behind Next9 and she works as a Marketing Consultant for a private company. 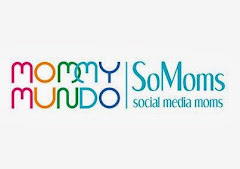 She is often invited to speak about entrepreneurship and time management in forums organized for moms. She is a mother of two wonderful boys, she tutors them during weekdays in the afternoon and spends time with her family during weekends. She goes out with her friends from time to time and does yoga every week. Oh, and she also volunteers to help moms who need help in babywearing and cloth diapering. 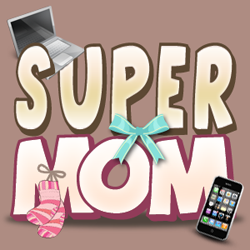 Wow, what a super mom! Each day of the week is different for me, but in general, Mondays are the "open" days. I try not to schedule things on a Monday to "get over" the weekend. And for me to work on things that I didn't get to work on over the weekend (inquiries, etc). This is usually a yoga and errand day. Tuesdays and Thursdays are my "day job" work days, when you can find me in the office (most of the time). Wednesdays is usually a meeting day for me. Fridays - I keep free to finish up what I couldn't do the rest of the week. For all the weekdays, I wake up early, at 5am. Say a prayer, check my emails and tweets from bed, then finally get up to start the day at 5:30. I like working and setting meetings in the mornings to the early afternoon, as I want to make sure I am free to study with my kids when they come home from school. How did you advocacy in breastfeeding, babywearing and attachment parenting start? What is the inspiration behind Next9? The seed was sown when I was pregnant with my first child and was reading about it on the site of Dr. William Sears. Attachment parenting is the thread that strings together breastfeeding, babywearing, co-sleeping, gentle/positive discipline. And when I read about it, I realized that there was a name for how my parents raised me and my siblings. That was when I decided that I wanted to do the same with my kids. When we started Next9, the goal was pretty clear -- it was to share attachment parenting via the different tools we used. And to this day, I believe that if all parents practice this and are able to parent with the intention of raising their children to be respectful, responsible and able to stand on their own two feet (who can pick themselves up even when they're down), the Philippines will be great again. You wear a lot of hats and you juggle a lot of roles. What are the challenges that you encountered and how did you overcome them? Who are your "energizers"? Who/What inspires/motivates you? The family where I came from - because my mom and dad have helped me become who I am today. My clients and their children, several of whom have become my friends - they tell me how our products have helped them a lot in different ways, and make suggestions on how to make better products. The speakers I met at the very first Mompreneur Summit held last 15 September 2012! Their talks have encouraged me to look into my business and see how to make it better. Top 3 tips you can share to moms on managing time and priorities and spending quality time with family. Envision your day ahead: Before I go to bed, I imagine how the following the will be to the minute details - what to do, where to go (routes to take), which ones to prioritize. It has always helped me to accomplish most (if not all) the tasks I've set out to do. Make use of lists - there is nothing like the satisfaction of seeing things crossed off! Certainly gives me a feeling of accomplishment! Prioritize! I use the grid from here.